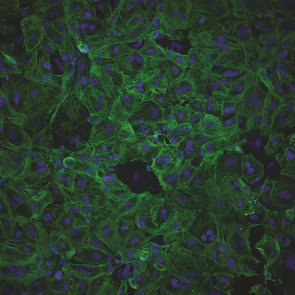 Cytiva® Plus Cardiomyocytes are derived from NIH Registered human Embryonic Stem Cells (hESC) and provide a biologically-relevant model for use in safety screening and risk assessment of compounds for cardiotoxic responses in drug discovery. Suitable for interrogation in multiparametic platforms such as high-content analysis (HCA) and multielectrode arrays (MEA), Cytiva Plus Cardiomyocytes form spontaneously beating monolayers when plated into microwell plates and exhibit appropriate morphology and electrophysiological responses when treated with known compounds. Display expected multi-electrode arrays (MEA) waveform and performance characteristics. Display expected pharmacological responses to compounds. Cryopreserved for ease of use. Ready to record direct from thaw after five to seven days incubation. No replating required. Suitable for MEA, high-content analysis (HCA), calcium transient measurements, and manual patch clamping. Figure 1. 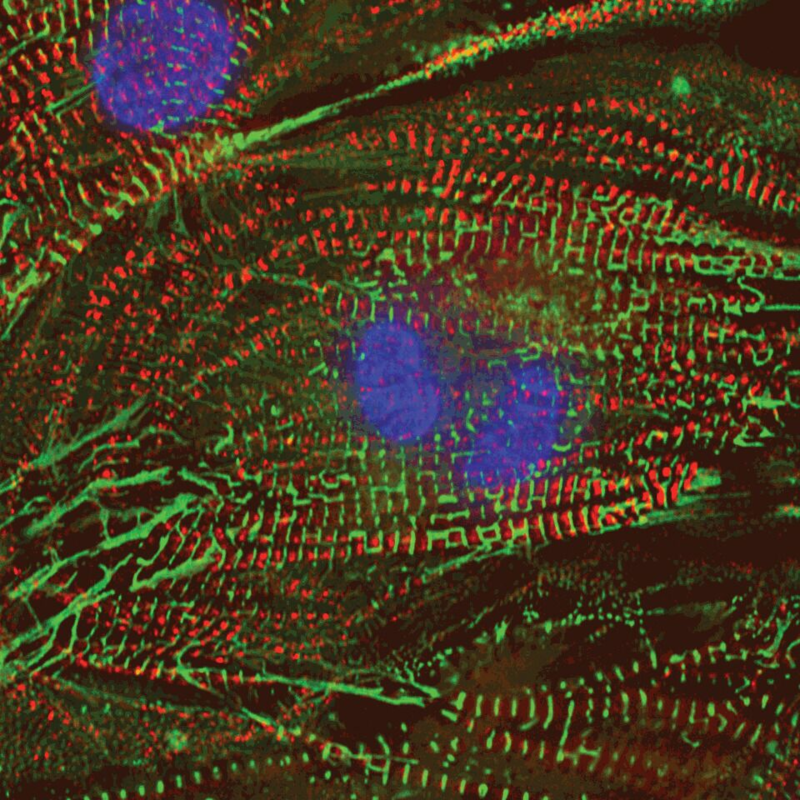 Cytiva Plus Cardiomyocytes imaged on DeltaVision OMX™ imager. Troponin I – green; α-actinin – red; nuclei – blue.